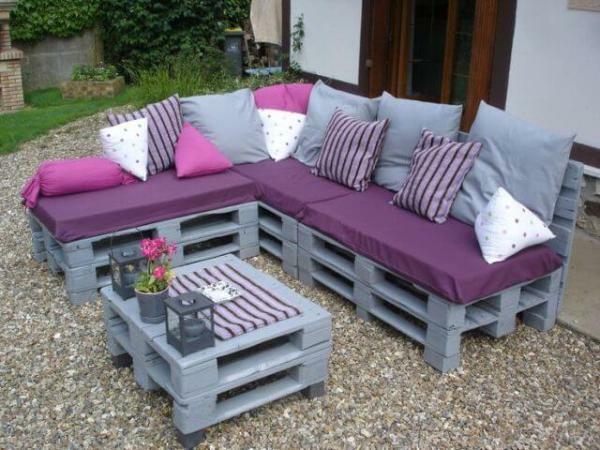 Presenting to you an idea of wood bench made up of roots of trees or roughly dressed limbs, a handmade rustic pallet bench, as garden seat: Best chosen sitting idea for garden. 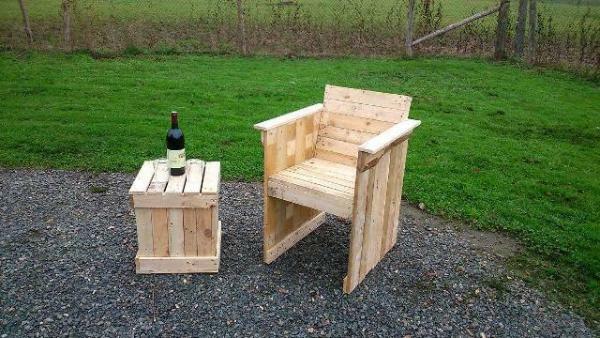 It can be placed outdoor anywhere per you seating plans. 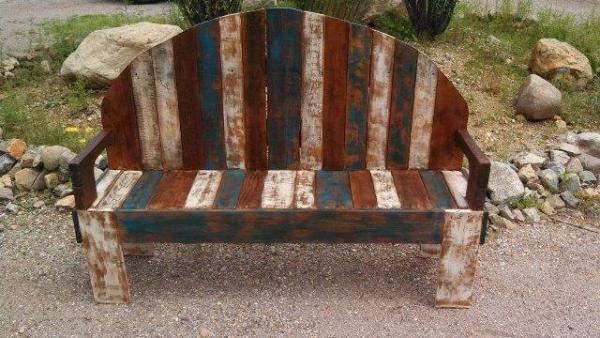 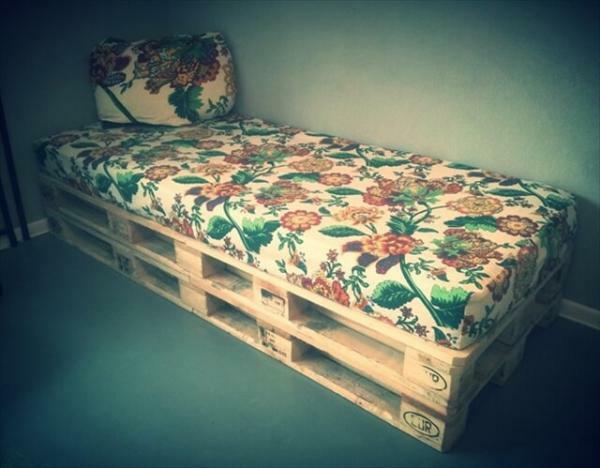 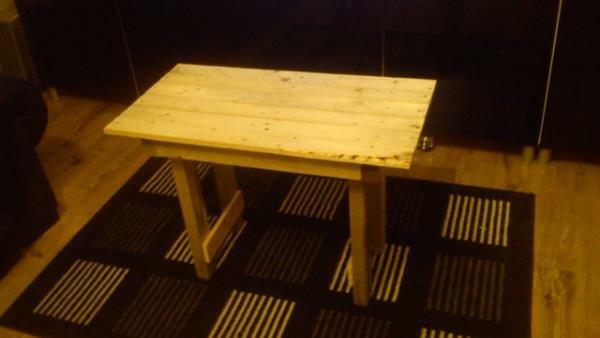 The country pallet bench is prepared with the fine wood pieces joined together to give a comfortable yet artistic seat. 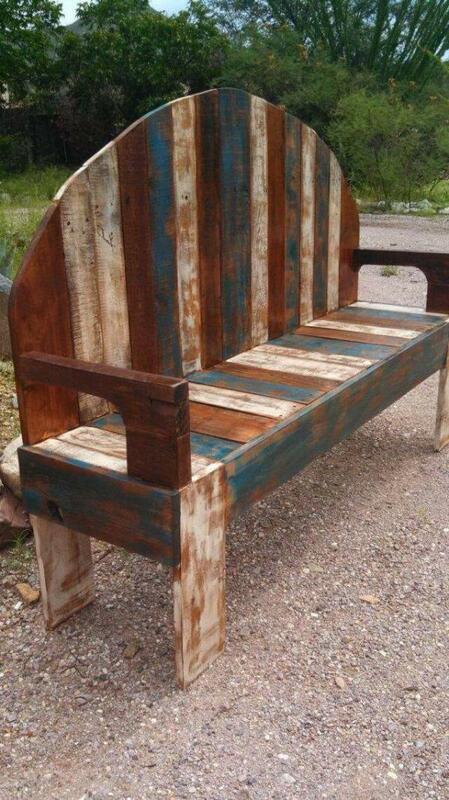 Rustic benches look, design and the original wood color make it attractive. 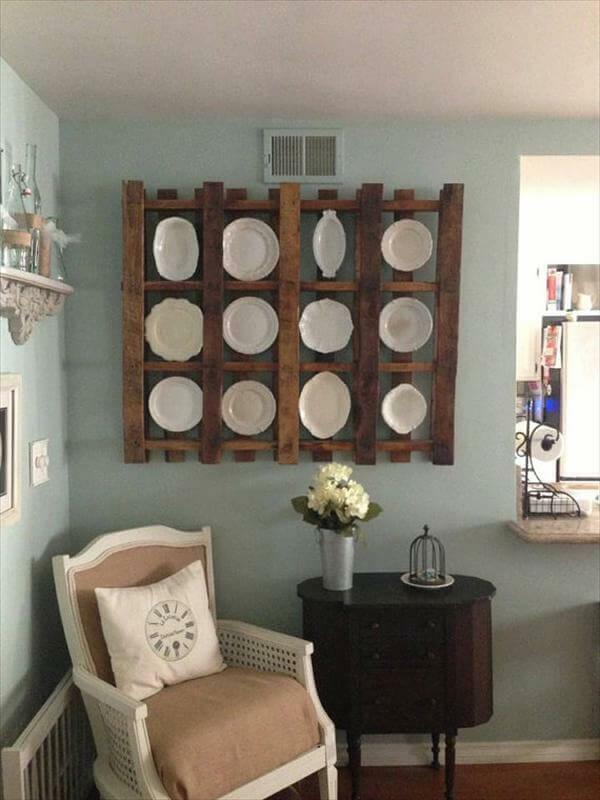 It also goes match able with any room colors. 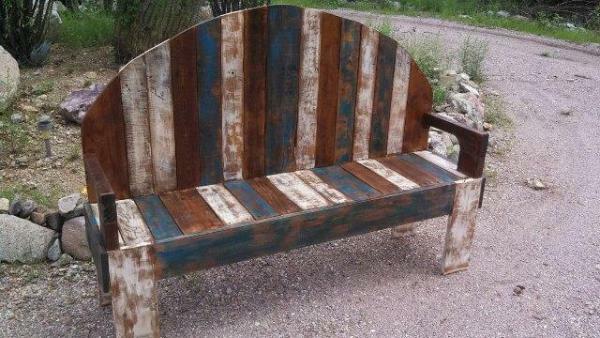 Its brown, blue, and deep wood color takes it closer to nature, so for best suited for garden bench. 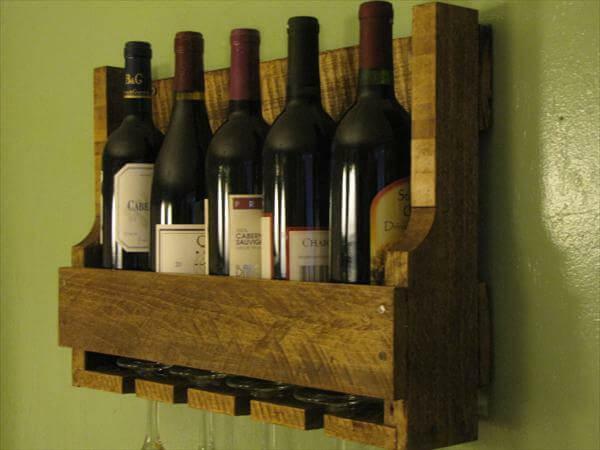 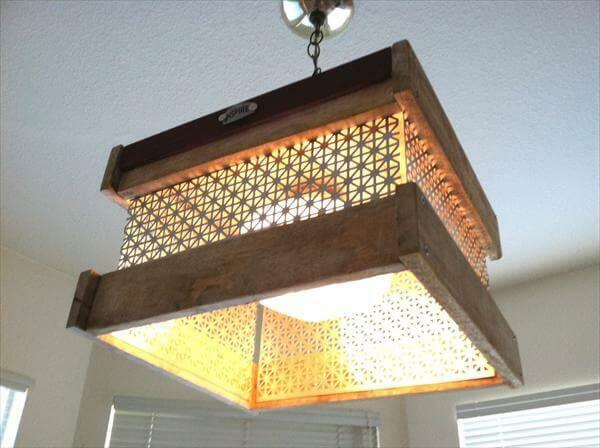 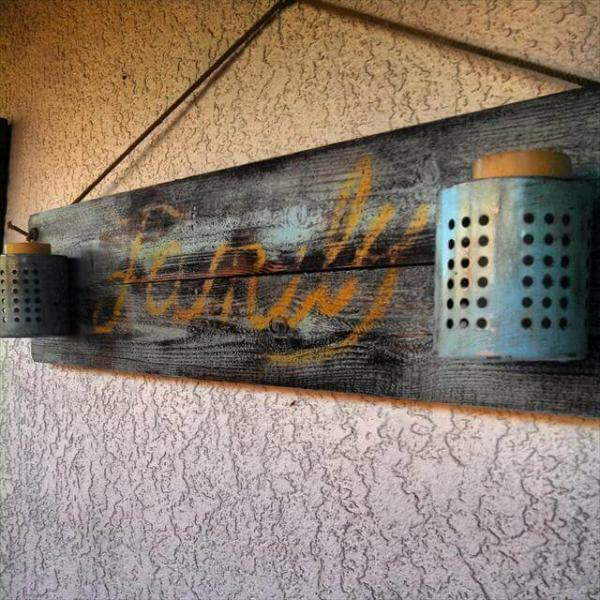 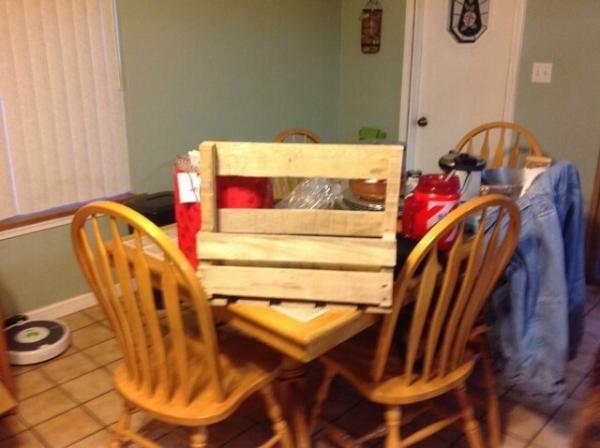 Ideas from upCycledreCreations! 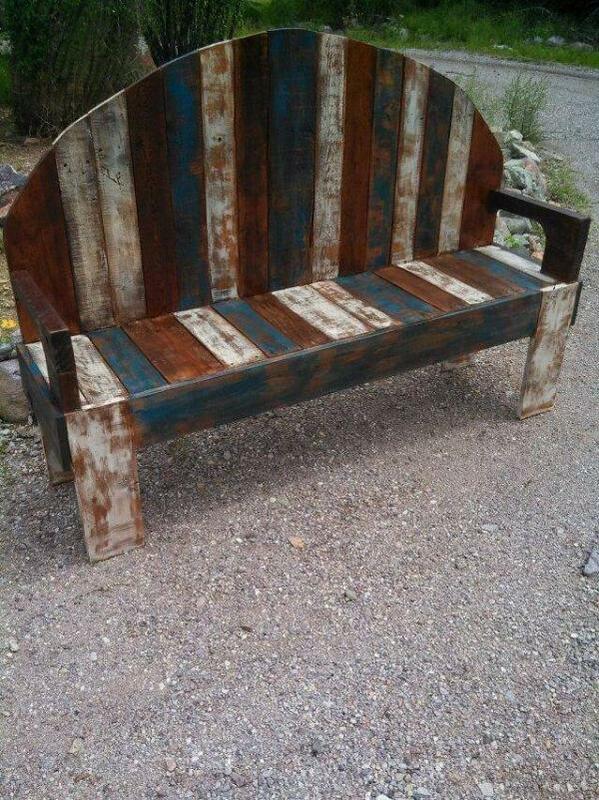 You can also purchase this bench from etsy shop and shop name is upCycledreCreations.